When we deal with complex or controversial environmental decision making, the significance of value should be considered. Each individual has his or her own basic set of values; the things one holds important in life. These values guide their decisions, and perceived value may change over time and depending on the situation. The concept of value can be seen in terms of a trade-off between benefits and sacrifices. These benefits and sacrifices can be understood in monetary terms, but also as including non-monetary rewards, such as competence, market position, and social rewards. Non-monetary costs can include, for example, the time, effort, energy, and amount of conflict that has to be engaged in order to obtain the desired end result. In addition, value can be, for example, emotional, environmental or functional. Essential to the current understanding of value is its subjectivity and the idea of perceived value. The value of something is in the end measured by the eye of the beholder. For example, a bog that has potential in producing peat can hold very divergent values to different stakeholders. The landowner may regard the bog having emotional value (“my family has taken care of this land for decades”), financial value (the profit gained from harvesting or selling the bog), environmental value (conserving the bog as a nesting area of birds), aesthetic value (the beauty of the bog as it is), etc. Again, an environmental protection organization may share some of these values, even if they probably emphasise the environmental value of the bog. On the other end, a peat industry company finds the most significant value of the bog to be financial as they endeavour to profit from its peat resources. However, in some cases they may also see PR value by promoting the conservation of some areas instead of harvesting the whole bog for peat. We may also define the birds and other animals that occupy the bog as stakeholders. Their value is existential (survival and prospering). Taken it a step further we could even say that the bog itself may be a stakeholder in a same way. Other stakeholders in this kind of decision making situation may be, for example, local residents, tourists, political decision makers and society at large. 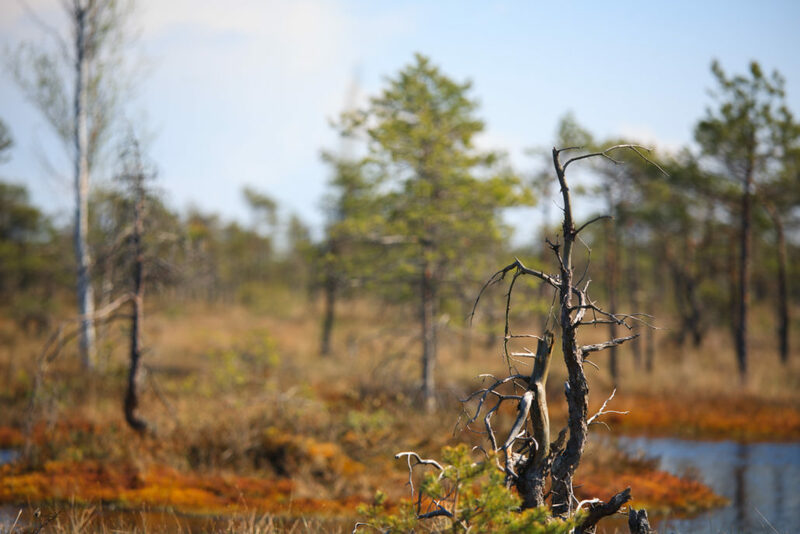 The values of the stakeholders emerge in a situation where fundamental decisions about the use of bog are made, for example, whether the bog should be a conservation area or should it be used for peat production. In such a controversial setting, the stakeholders may be firmly standing in the different ends of the value continuum, thus hoping for dissenting outcomes. So, how can we enable the stakeholders to collaborate in a complex decision making situation in a sustainable way, that is, the stakeholders’ perspectives are equally being taken to consideration and that in the end value is, at some level, created for all? Instead of being on the opposite sides, the stakeholders should co-create value by interacting with each other in a peer-like, collaborative way to create value for all (Galvano and Dalli 2014). Value co-creation is dependent on the successfulness of the entire relationship between the stakeholders (see e.g., Lindgreen and Wynstra 2005), and interaction is the key issue in succeeding. Encounters between the stakeholders can be emotion supporting (such as stories and recognition), cognition supporting (such as scripts), and behavior and action supporting (such as trials and know-how communication) (Payne et al. 2008). These encounter types cover rather broadly the key aspects of value creation – symbolic, emotional, functional, and economic (see e.g., Rintamäki et al. 2007). As in any relationship and interaction the optimal starting point is the willingness to listen and understand what others have to say. Through open interaction and active support for dialogue we may find out what values different stakeholders appreciate and emphasize, and why. Understanding different stakeholders’ root causes and value drivers may pave the way to mutual understanding and provide a sustainable outcome that creates new value for all. Lindgreen, A. & Wynstra, F. (2005). Value in business markets: What do we know? Where are we going?. Industrial Marketing Management 34(7), 732-748. Galvagno, M. & Dalli, D. (2014). Theory of value co-creation: a systematic literature review, Managing Service Quality 24(6), 643-683. Payne, A., Storbacka, K. & Frow, P. (2008). Managing the co-creation of value. Journal of the Academy of Marketing Science 36(1), 83-96.